Puzzle Pirates Forums - View Thread - Lost old poems! Forums » List all forums » Forum: Viridian Events » Thread: Lost old poems! 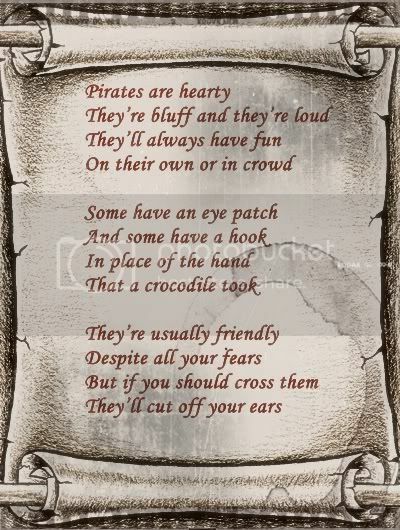 Time for some ole' piratery poems! Each participant will have to write a poem, short or long I won't bother! but it has to be Puzzle Pirate related! The most fascinating poem will win the contest! 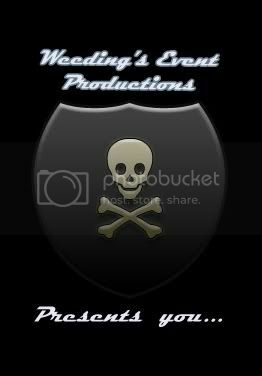 me and 4 more judges will decide who the winner is, the judges names will not be listed now until the end of the event. - We need at least 5 participants for this event to be held. - Participants may reserve as seat by PMing me their in game name. Other prizes will be given for those poems that the judges and me like but didn't make it to first place. looks like a fun event .. Going to have a good try and submit my entry! Life isn't fair, why should PP be any different? There Could Be A Fight. They Become Out Of Sight. For A Long Expo List. And My Number One Pirate Leading. when pirates were still men. doing their duty in a can. there was a pirate named Nemo. the poor little pirate turned emo. and decided to better his ways. an idea no longer a mere haze. his thoughts emerged into a game. and Nemo swapped emo for fame. whiners aren't always destined to fail. Awesome entry Martobain, well done.